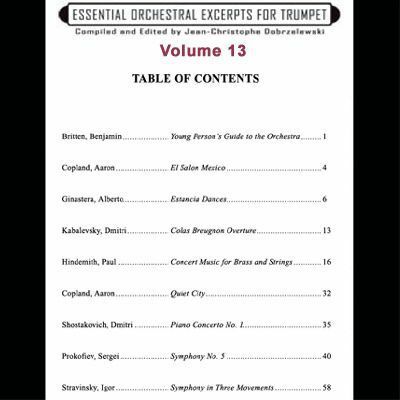 These excerpts contain more study material for all trumpets in each work than previously found in other excerpt books. They have been proofread carefully for the highest degree of notation accuracy and provide a separate stave for each trumpet part. Also included are historical listings of principal trumpet and cornet players in major orchestras around the world, and current trumpet section rosters. 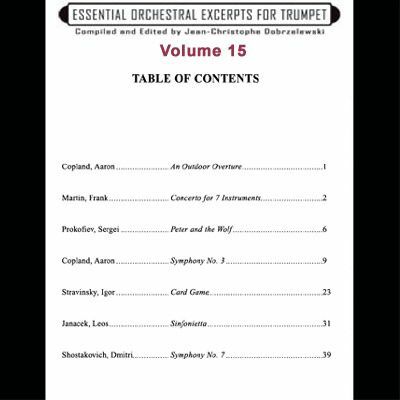 A significant bibliography of articles concerning orchestral trumpeters, trumpet sections, and trumpet-related topics is also provided. Each volume is 72+ pages. 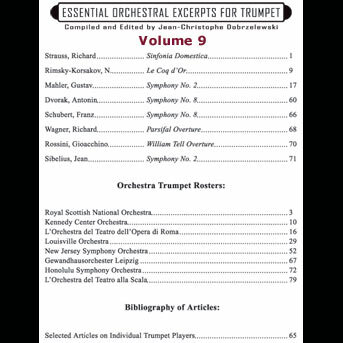 These exerpts contain more study material for all trumpets in each work than previously found in other excerpt books. They have been proofread carefully for the highest degree of notation accuracy and provide a seperate stave for each trumpet part. Also included are historical listings of principal trumpet and cornet players in major orchestras around the world, and current trumpet section rosters. 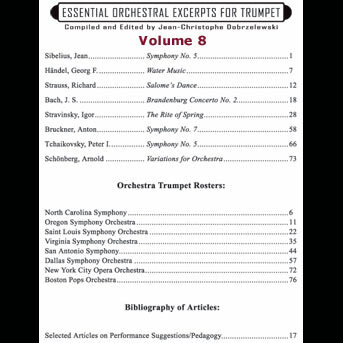 A significant bibliography of articles concerning orchestral trumpeters. 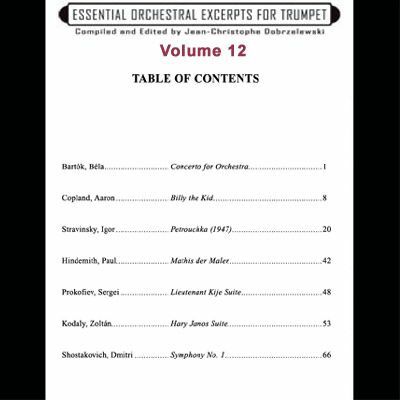 Trumpet sections, and trumpet-related topics are also provided. Includes many hard to find and copyrighted works. 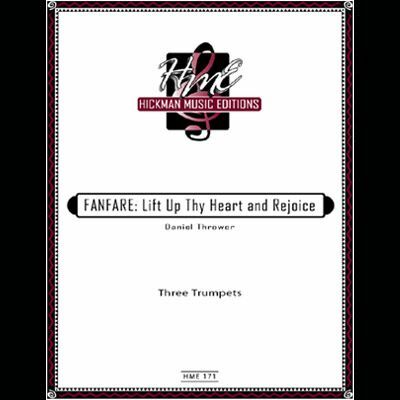 All trumpet parts included in score format. 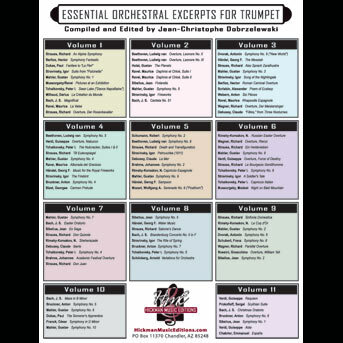 A must for all serious orchestral players. NEW! Includes many hard to find and copyrighted works. 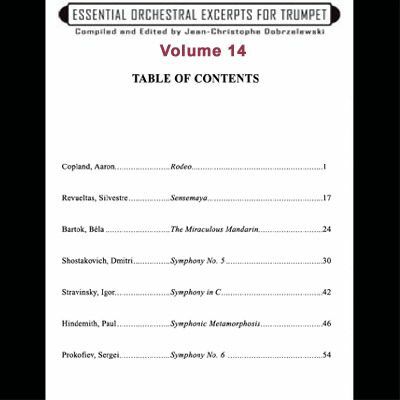 All trumpet parts included in score format. A must for all serious orchestral players. Buy all 16 volumes at one great low price!